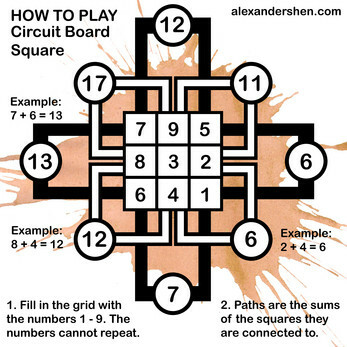 Circuit Board Square is a logic-based number-placement puzzle. 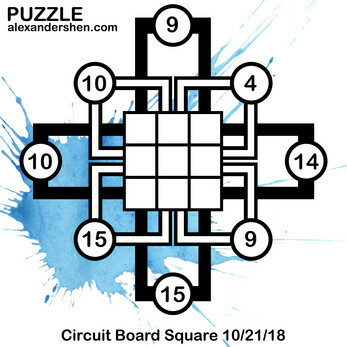 The objective is to fill in the 3x3 grid with all of the digits from 1 to 9. The sums from each of the paths are determined by the values in the squares connected to those paths. 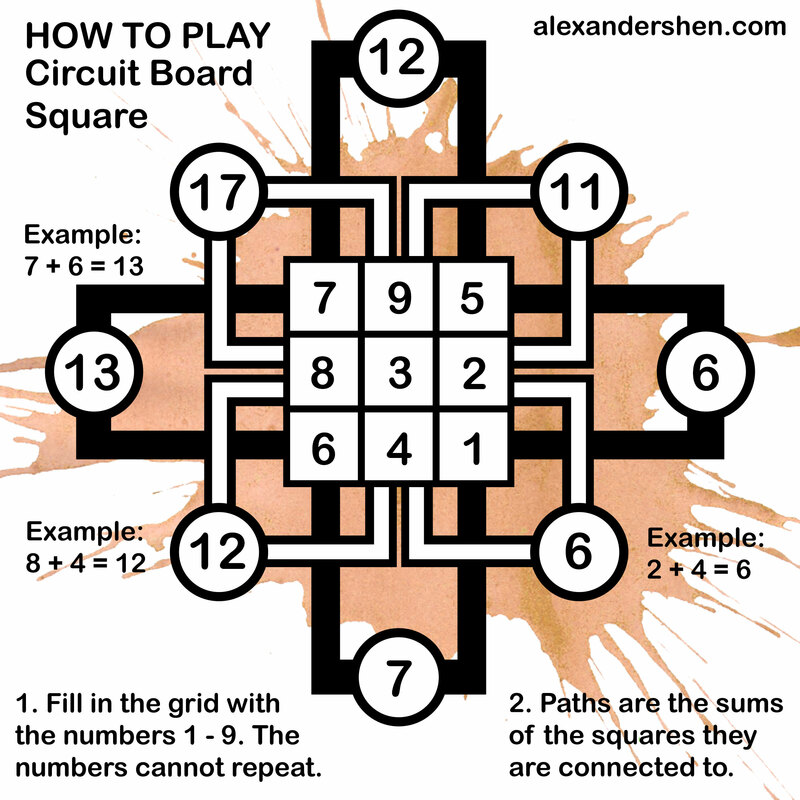 The puzzle setter provides all of the sums on the paths and the player must fill in the grid. 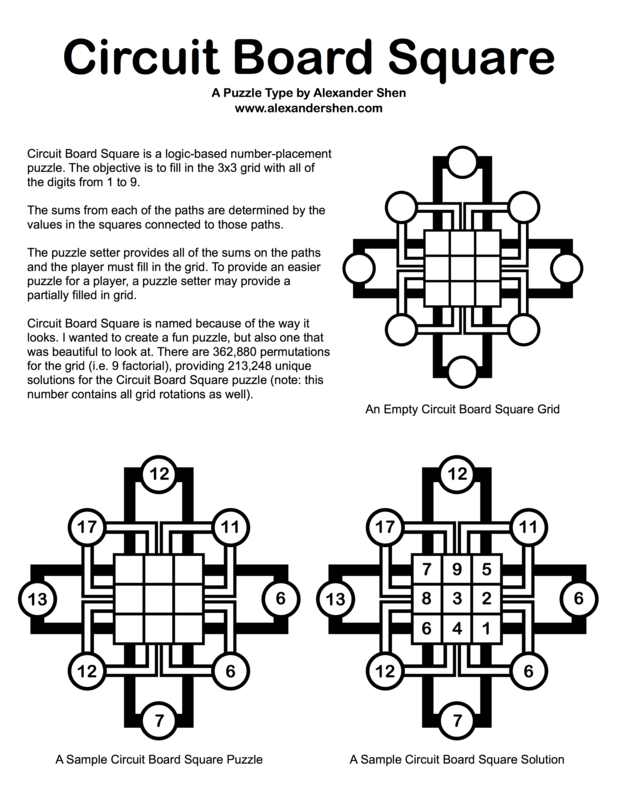 To provide an easier puzzle for a player, a puzzle setter may provide a partially filled in grid. 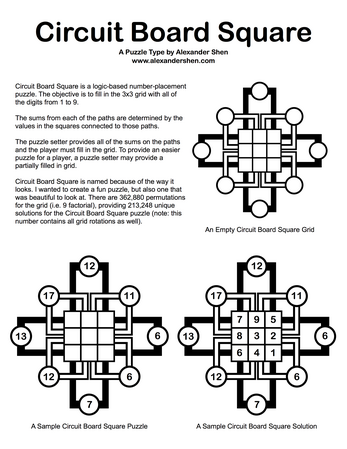 Circuit Board Square is named because of the way it looks. 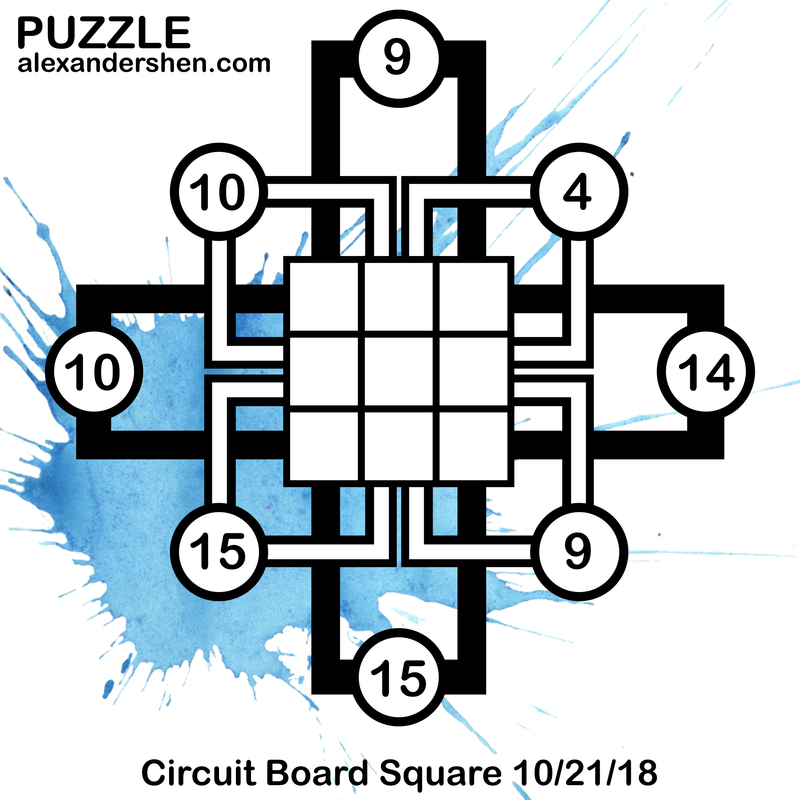 I wanted to create a fun puzzle, but also one that was beautiful to look at. 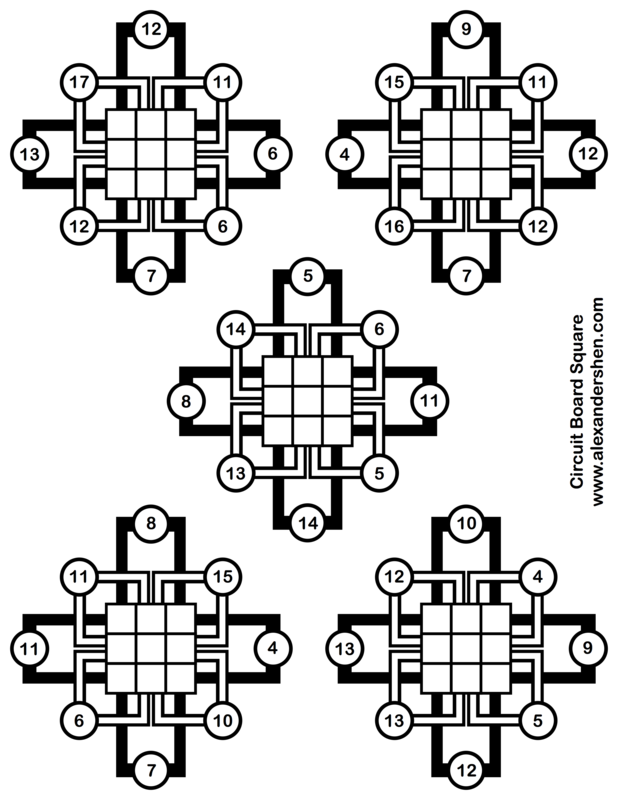 There are 362,880 permutations for the grid (i.e. 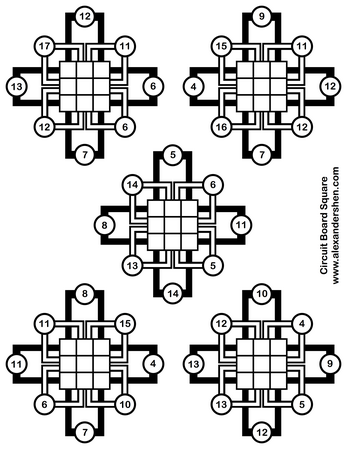 9 factorial), providing 213,248 unique solutions for the Circuit Board Square puzzle (note: this number contains all grid rotations as well).